After so many colour combos I started to think that doing my nails just one colour was boring. But then I found matte top coat. This is Barry M Gelly Gauva - one if my favourite colours! There's something magical about it that I just can't resist. 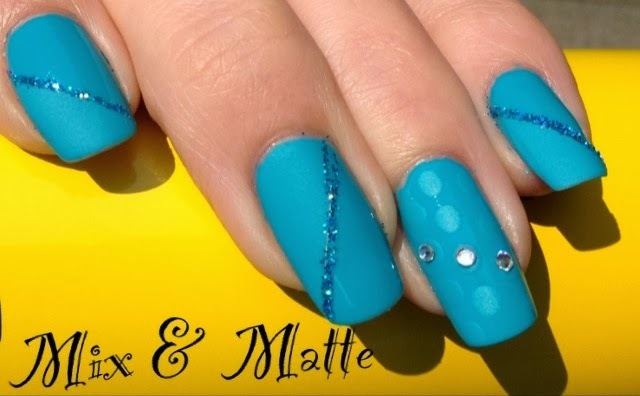 Half coated with Rimmel Pro matte finish and finished with a matching teal glitter. The accent nail is the hi-shine guava with dots of matte top coat. I was super pleased with the result. But I think anything would look great with that colour!